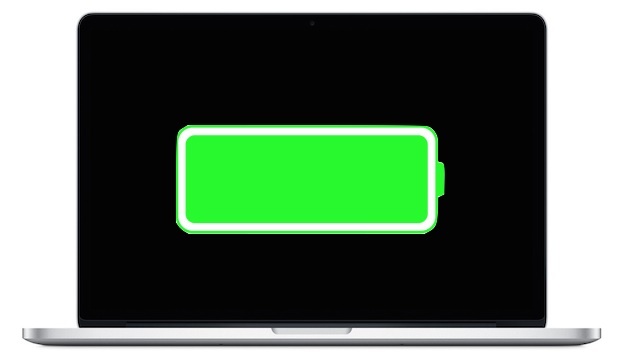 If you’ve ever wondered how much battery life is remaining on a MacBook, MacBook Pro, or MacBook Air, you should set the battery icon in the OS X status bar to display some additional details, like the percentage remaining. This gives you an immediate idea of how much longer you can use a Mac. Enabling the battery indicator on a portable Mac is quite simple, you can do this from just about anywhere in OS X as long as you can see the menu bar. This provides you with a continuous update on battery life and works on any of the Mac notebook lineups. I find time remaining to be most informative, a feature which now requires a user to pull-down the battery menu to see, but the percentage remaining is really useful too. What options you’ll have in this menu depends on the version of OS X you’re running. In new versions of OS X that only show the Macs battery percentage remaining, you can click on the battery icon to reveal the additional details like the actual time remaining before the battery is completely run out. Additionally, modern versions of OS X can also tell you what apps are using battery and energy by giving a quick look at this same menu bar item, a really great feature for laptop users. While all versions of OS X allow you to see the battery remaining on a Mac by clicking on the menu item and pulling down the menu bar itself, not all versions support the ability to actively show the time remaining in the menu bar. In either new or older Macs, the battery indicator is always visible in the menu bar, either showing percentage or the time remaining. You can also use the time remaining gauge as an indicator of a runaway process that could drain your battery life, like Flash in an inactive browser tab. If you notice it’s flying down quickly, you probably have an app gone wild in the energy use department. The percentage remaining indicator is basically exactly like what you’ll find in the iOS world on iPhone and iPad, where it’s just as useful if not more so. I recently got a MacBook Air 11.6″ and while showing it to a friend they complained that they can’t see the remaining battery life with the press of a button like you can on the MacBook Pro physical batteries from yesteryear. This is true, but what you can do is set the Mac OS X menu bar to show remaining battery life as either a time or percentage in the operating system itself. i am really surprised if there any mac user who would benefit from this article. isn’t battery life the most basic thing that any mac user would have to know in the first place. I use iStat Menus, that way I can show both time remaining and percentage. I use iStats as well, since the icon is smaller (acutally customizable). I have it set to display remaining time if not plugged in (which is pretty accurate! ), and the percentage if plugged in. I find this the most usefull setting. I’ve tried SlimBatteryMonitor as well, didn’t like the design.